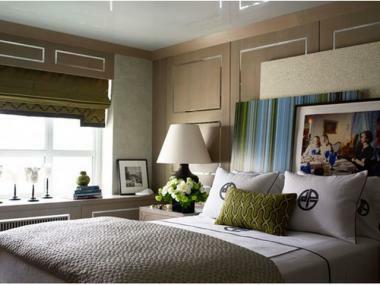 A Phillip Garrivan designer room from the 2008 Kips Bay Boys and Girls Club Decorator Show House. This year's event has been postponed until the fall. KIPS BAY — The Kips Bay Boys and Girls Club will lose out on $1 million from its annual Decorator Show House Fundraiser after organizers postponed the event until the fall when the townhouse they planned on using was sold to a private buyer. Every year, the club raises money for its after-school programs for children in the Bronx by charging visitors $30 each to check out the designs of top decorators like Celerie Kemble and Robert Verdi. This year's show was scheduled to begin April 30, but the home at 26 West 76th Street was sold to a private buyer for $19.5 million before the show, the New York Observer reported. The sale left organizers scrambling to find a new location. Design enthusiasts will be missing out on a gem— the seven-bedroom house features two kitchens and laundry rooms as well as two terraces. Since its inception in 1973, the showcase has raised $16 million for the club. A new location for the fall show had not yet been decided.